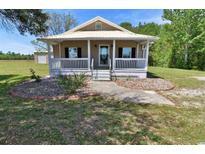 Find Loris, SC Homes for sale. View Photos, Maps and MLS Data Now! All measurements and square footage are approximate and must be verified by the buyer. MLS#1909062. Just a short trip to downtown Loris or North Myrtle Beach. MLS#1909085. Loris is such as desirable town. MLS#1909031. Square footage is approximate and not guaranteed. Buyer is responsible for verification. MLS#1909013. Property is being sold in as is condition MLS#1908997. Blue Pride Estates - This is not going to last long at this price! MLS#1909010. Come see for yourself. Many extras! MLS#1908846. Fox Bay Estates - This is a rare opportunity to own a home built by The Grand Strands Premier Builder in a community that is close to everything the Grand Strand has to offer. Please call today. MLS#1908820. Fox Bay Estates - This is a rare opportunity to own a home by The Grand Strands Premier Builder in a community that is close to everything the Grand Strand has to offer. Please call today. MLS#1908822. That is not all..how about a shed in the back 15 X 14 on the front side with electrical and another room 15 X 5 on the backside of the shed with two entry ways with a carport area. MLS#1908642. That is right next to a beautiful pond that is stocked with fish. MLS#1908310. Close to the hospital, and meeting street- downtown loris. MLS#1908318. 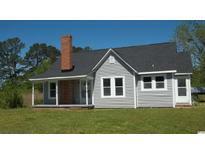 If you are looking for some quiet privacy with easy access to all the Grand Strand has to offer, this is for you! MLS#1908269. Fox Bay Estates - This is a rare opportunity to own a home built by the Grand Strands Premier Builder in a community that is close to everything the Grand Strand has to offer. Please call today! 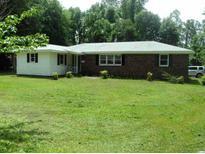 MLS#1908130. Fox Bay Estates - This is a rare opportunity to own a home built by the Grand Strands Premier Builder in a community that is close to everything the Grand Strand has to offer. Please call today! MLS#1908129. Fox Bay Estates - This is a rare opportunity to own a built by the Grand Strands Premier Builder in a community that is conveniently located to everything the Grand Strand has to offer. Please call today. MLS#1908128. Fox Bay Estates - This is a rare opportunity to own a home built by the Grand Strands Premier builder in a beautiful community that is close to everything the Grand Strand has to offer. Please call today. MLS#1908126. Make an appointment to see this home today. MLS#1908038. It is minutes from Highway 22 with a short drive to the beach, shopping, restaurants and all that the grand strand has to offer. MLS#1907969. 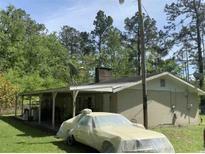 Home has large rooms, well maintained and great for entertaining or a large family. MLS#1907743. Fox Bay Estates - Don’t miss your opportunity to see this immaculate home with lots to offer! MLS#1907698. Do yourself a favor and book a showing today! ! MLS#1907575. Move in Ready for your Buyers! ! MLS#1907506. Master bath has double sink, tub and shower. MLS#1907299. The home site for your dream home is waiting for you! MLS#1907287.